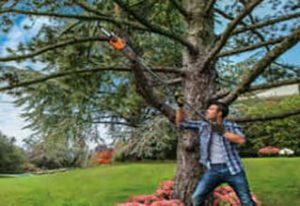 Is it time to get a new chain for your chain saw – but you don’t know what length you need? Chain saw chains wear out over time, especially if you are cutting thick logs or cutting tree stumps! The right size replacement chain is critical! Too big and there will be too much slack around the bar to tighten. Too small of a and the chain will not fit around the diameter of the bar! If you don’t have access to your owners manual, can’t find the info printed on the body and are not sure what size you need there is only one thing left to do. Get out your measuring tape and find out for yourself! Our team put together a quick guide to help you measure your bar and find the right chain length! In order to measure your chain saw bar we will need a few tools, but don’t worry you probably already have them in your garage! Your chain saw won’t last forever. 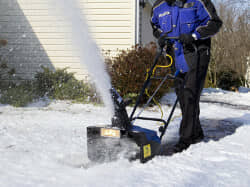 If you think it might be time for a new saw we recommend checking out these Echo Chain Saws. 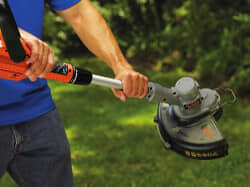 Start by laying your chain saw flat on the ground, after it has had some time to cool off from your last use. Then using your tape measure start at the base of the top of the bar and measure all the way front tip. Round up to the nearest whole number. Make sure to keep your tape measure tight so there is no slack and measure all the way to the edge. Any slack or mis-measurement could cause you to purchase the wrong size! Most chain saws have 16, 18 or 20 bars but some commercial models are as big as 24 inches! Take your time while measuring and don’t try to guesstimate or you will be making another trip to the store! If you don’t have a tape measure at home but have a yard stick, ruler or other “stiff” measuring tool you may still be in luck! Take some rope and use it like a tape measure, marking where the bar starts and ends. Once you are done measuring the bar measure your rope with the yard stick! Next, we need to measure the chain size. Start by stretching the chain flat on the floor. Next measure the distance between the first and third lug or rivet and divide by 2. Rivets hold your chain together, without them the links would not be able to “link” together! Getting the wrong size chain means that the chain will not be able to grab ahold of your bar, even if it is the right length. The final piece of info you will need to buy the right sized chain is the gauge. The gauge is the width between each groove – getting the wrong size means the chain won’t be able to grip the bar! Our favorite trick to quickly (and accurately) measure is to use your pocket change! A penny, nickel and quarter provide the perfect measuring tool. All you need to do is place the coin into the slot, if it fits then you have the right size!